redit Suisse has increased the funds it has set aside to settle a U.S. tax dispute? The logo of Swiss bank Credit Suisse is seen in front of a branch office in Zurich November 21, 2013. (Reuters) – Credit Suisse has increased the funds it has set aside to settle a U.S. tax dispute and avoid prosecution for helping wealthy Americans hide cash from the taxman, raising the prospect it may be close to a settlement in the lengthy dispute. Switzerland’s second-biggest bank also said it had raised the pay of its chief executive by more than a quarter last year, despite not meeting all its performance targets and the hike in litigation costs which increased its fourth-quarter loss. “The final settlement has not yet been reached, but the bank feels comfortable about making a provision for the case that should be close to the final settlement amount,” analyst Dirk Becker at brokerage Kepler Cheuvreux, who has a “buy” rating on the stock, said in a note. He said the provisions were less than had been expected by the market. Another analyst, who asked not to be named, said the additional provision suggested a settlement looked more imminent. 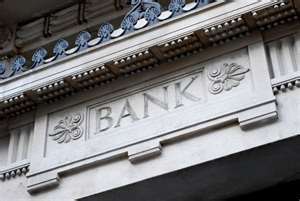 But a spokesman for the bank declined comment on whether the increase indicated it was close to resolving the dispute. Credit Suisse had in February settled charges levied by the U.S. Securities and Exchange Commission, admitting to wrongdoing and paying $196.5 million in fines also in relation to tax issues. Switzerland’s private banking model has been rattled to its core by the U.S. crackdown on tax evasion. Credit Suisse’s crosstown rival UBS admitted to helping U.S. taxpayers evade taxes and paid a $780 million fine in 2009. Evidence culled from the UBS probe and thousands of Americans coming forward under a tax amnesty in the United States has fed a second wave of investigation, which has ensnared Credit Suisse and 13 other large Swiss banks. Wegelin & Co, the oldest Swiss private bank, was forced to close last year following a guilty plea to charges of helping wealthy Americans evade taxes. Credit Suisse is the latest Swiss company to raise executive pay ahead of next year, when shareholders in the Alpine state will have a binding vote on compensation. CEO Brady Dougan received 9.79 million francs in 2013, up 26 percent after the bank increased profits and strengthened its balance sheet against potential loan losses. But it missed its target for underlying return on equity, which came in at 10 percent compared with a target of 11 percent. By comparison, UBS chief Sergio Ermotti got a 21 percent pay increase last year. Dougan faced criticism from shareholders and the Swiss public in 2010 when he received about 70 million francs in shares from a 2004 stock-linked bonus plan, as well as being awarded 19 million in compensation for 2009.
Credit Suisse said it had increased its total bonus pool for 2013 by 5 percent to 3.6 billion francs, compared with a 14 percent increase in 2012. Seeking a settlement in the tax dispute, the lender has already handed over data on its business, employees and customers to U.S. authorities. But Dougan in testimony to U.S. senators in February said the bank had uncovered only “scattered evidence” of improper conduct. Dougan said its top managers were not aware a small group of Swiss-based private bankers helped U.S. customers hide income and assets. The bank said on Thursday it would reduce previously reported fourth-quarter and 2013 results by 468 million francs after taxes to mainly reflect the U.S. tax deal provision, resulting in a fourth-quarter net loss of 476 million francs. It had already in March restated its fourth-quarter results after a 275 million franc charge to settle lawsuits over mortgages sold to U.S. institutions Fannie Mae and Freddie Mac.